Any code that I personally wrote and posted on StackOverflow is covered by WTFPL. 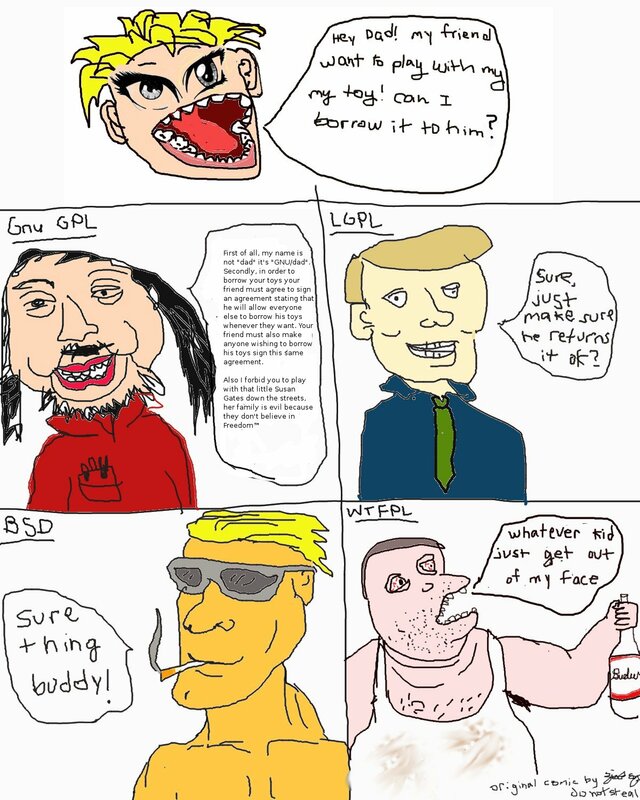 For a TL;DR explanation, see this comic strip. 27 Can you lose an ability if your reputation falls below a threshold? 25 Is calculating a hash code for a large file in parallel less secure than doing it sequentially? 21 "If" with implicit "then" question: Should a comma be used?